Grand views toward the mountains of Moteverde and spectacular sunsets. Close to the center of Santa Elena and offering tranquility and service from our hotel staff. You can make reservations with us for various activities such as zip-lines, hanging bridges, night tours, coffee tours, frog pond, serpentarium, amongst many others. At La Puesta del Sol you can organize your day and maximize your time, you can enjoy our private tour a four-hour tour in the forest with a life-time resident and expert guide in the Monteverde area. See details here. Monteverde Costa Rica Cloud Forest The Monteverde Cloud Forest is located in the Cordillera of Tilarán. In Monteverde you will be able to experience a wide variety of activities and enjoy a part of Costa Rica which is unique and we think very special. We hope that when you are in the planning stages of your vacation that you will consider a stay here in Monteverde and that when you get here that you will have decided that you made the right decision to visit us. Our goal is to try to help you make the most out of your visit to our special part of Costa Rica… Monteverde! Selecting the best Monteverde hotel or lodge that meets your particular needs is usually the first step in planning your visit. In addition, most visitors to Monteverde have a limited amount of time to spend in the area and therefore having good information on the available options for attractions can help you make the most of your visit. We try to offer the most up to date information on most anything in Monteverde you would like to experience. 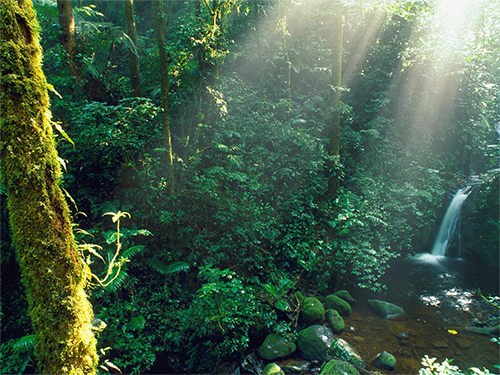 Most importantly of course we are known for our two Cloud Forest reserves. However Monteverde offers many other unique and worthwhile attractions. Monteverde’s elevation is approximately 1400 m. (4600 ft) above sea level. Most visitors stay in Monteverde at least two nights in order to at a minimum, visit one or both of the Cloud Forest Reserves, enjoy the Canopy Tour, The Hanging Bridges and some of the many other attractions. There are many activities in Monteverde, and choosing what to do can be difficult, but we are ready to help you.